It’s been one year since Lazy Bear permanently opened its doors in the Mission District of San Francisco. Last week we had a staff party at Petit Crenn to celebrate the restaurant’s one year anniversary. Petit Crenn is chef Dominique Crenn’s newest restaurant in Hayes Valley. The restaurant is an ode to chef Dominique’s upbringing in Brittany, France and offers simple seafood driven dishes. Since I’ve dined at chef Dominique’s two Michelin starred restaurant Atelier Crenn in the Marina (read my review here), I was excited to try her new casual restaurant. The staff party was held last Sunday (one of Petit Crenn’s closed days) so we had the entire restaurant to ourselves. The restaurant offers one multi course menu shared family style. 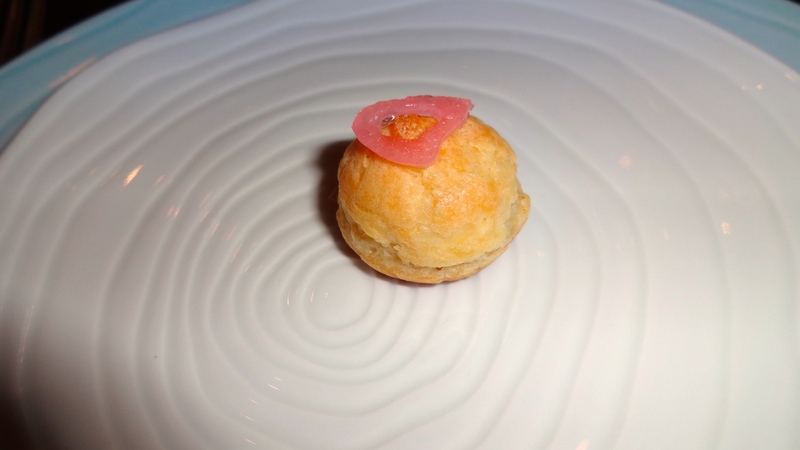 Gougère with Pickled Onion (8/10). 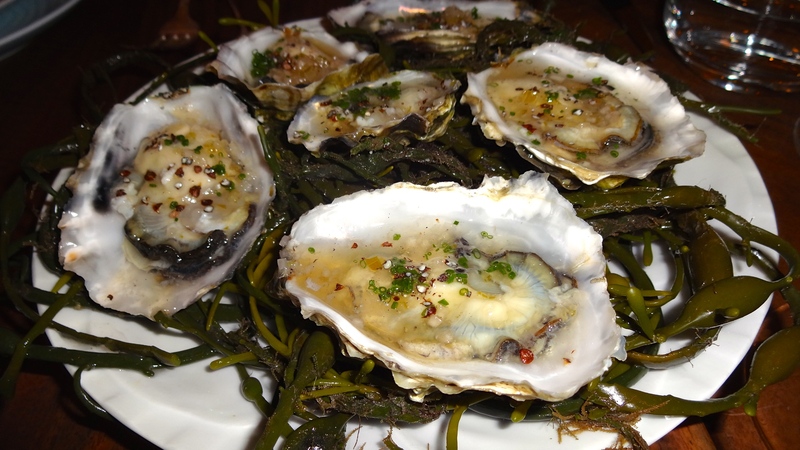 Grassy Bar Oysters with Candied Fennel Mignonette and Grains of Paradise (9.5/10). 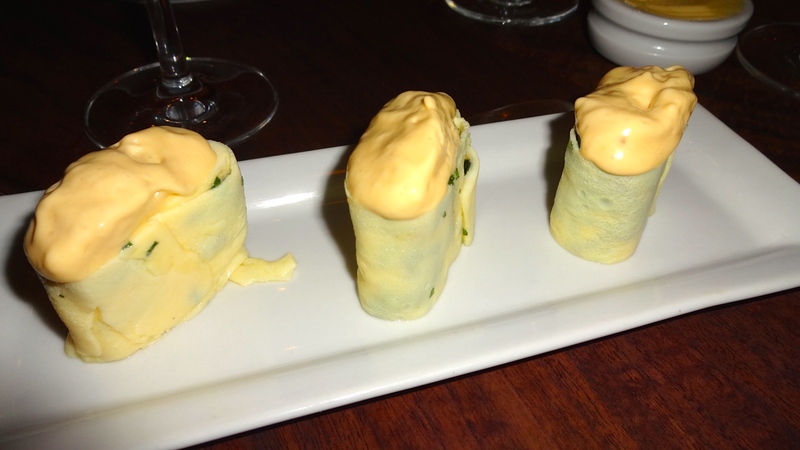 Mini Omelettes (I Didn’t Try This One). 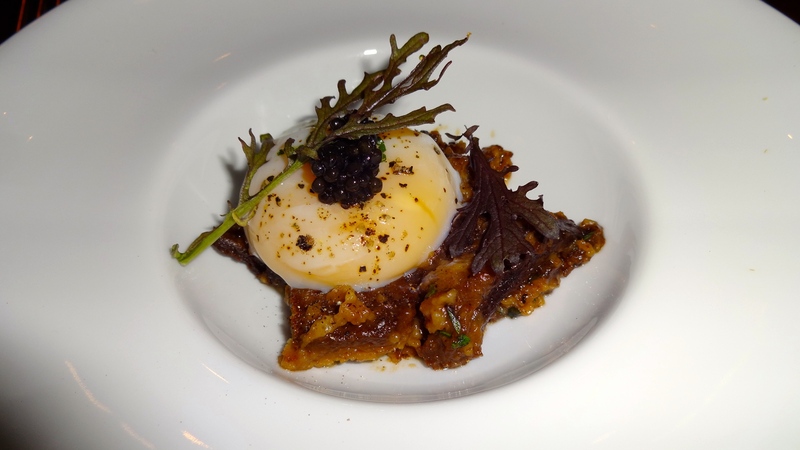 Poached Egg with Braised Brown Bread topped with Caviar (7.5/10). 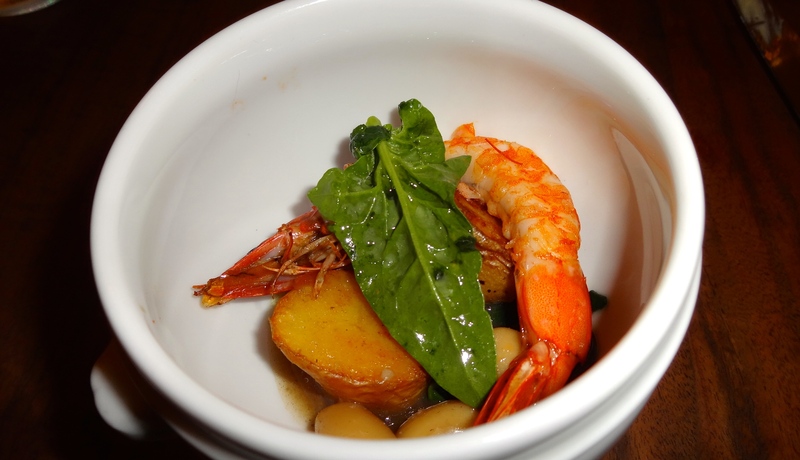 Grilled Prawns with Potatoes and Braised Butter Beans (7.5/10). Cauliflower Gratin with Espelette and Smoked Breadcrumbs (8.5/10). 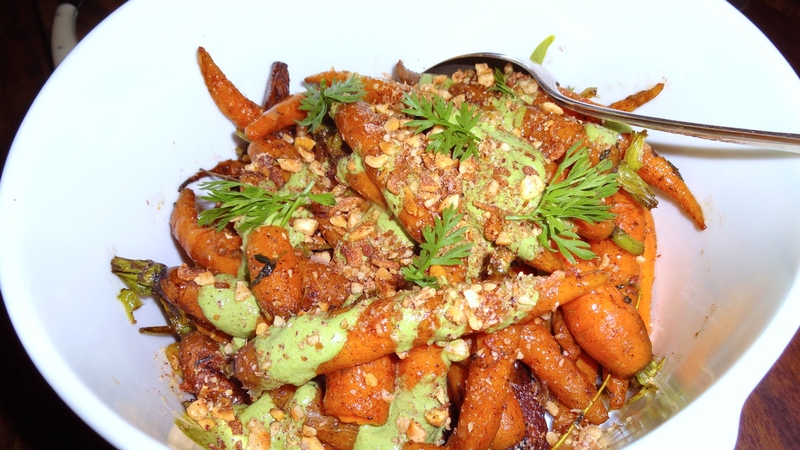 Roasted Carrots with Sumac and Yogurt (8/10). Whole Grilled Trout with Cider Sabayon (8/10). 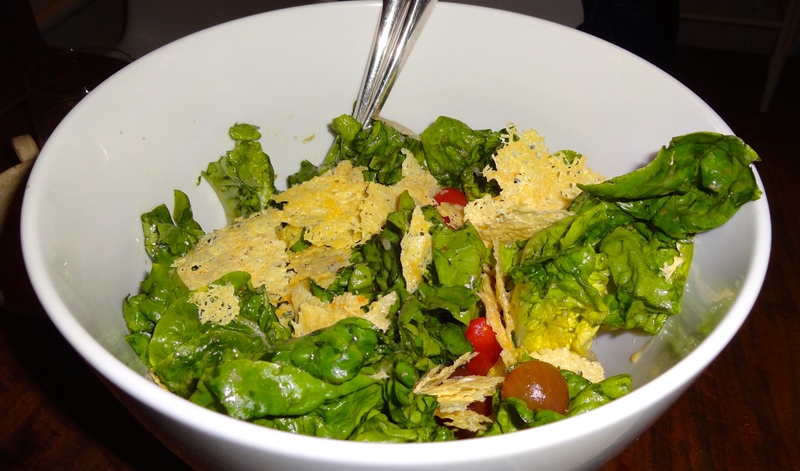 Little Gem Salad with Anchovy Vinaigrette, Heirloom Tomatoes, and Cheese Crisps (8/10). Apple Tarte Tatin with Crème Anglaise (8.5/10). 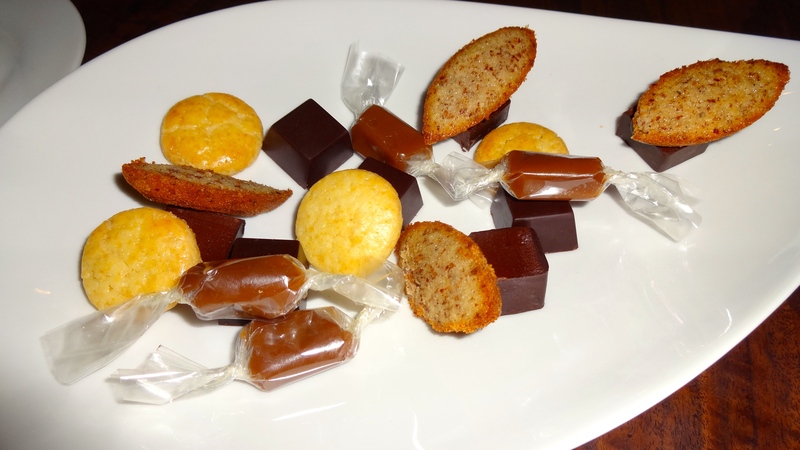 Petit Crenn served a simple yet delicious tasting menu that I thoroughly enjoyed. Some of the highlights of the meal were the oysters, cauliflower gratin, roasted carrots, trout, and apple tarte tatin. By far my favorite dish of the night was the grassy bar oysters. Sweet yet briny fresh raw oysters swimming in a crisp refreshing candied fennel mignonette and hints of tropical notes from the grains of paradise (a type of spice), the perfect bite. Next, the side dishes accompanying the main dish were stellar. 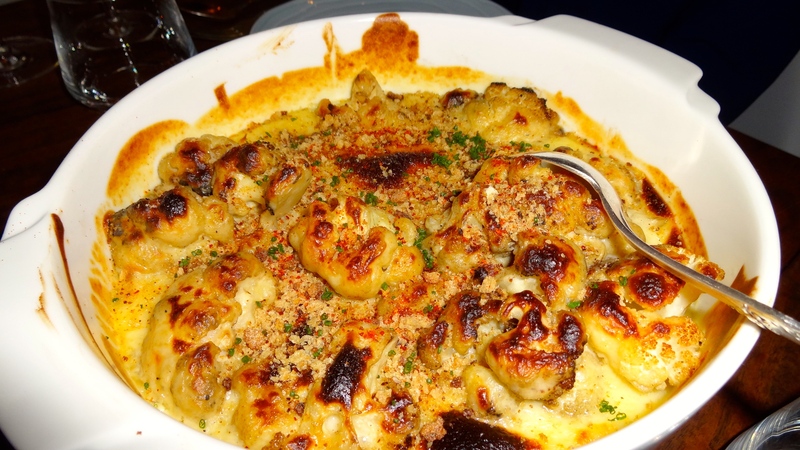 The cauliflower gratin was oozing and bubbling in a creamy sauce topped with crunchy breadcrumbs. Next the roasted baby carrots were super tasty with a sprinkle of fruity tart sumac (a spice) and refreshing dollops of yogurt. 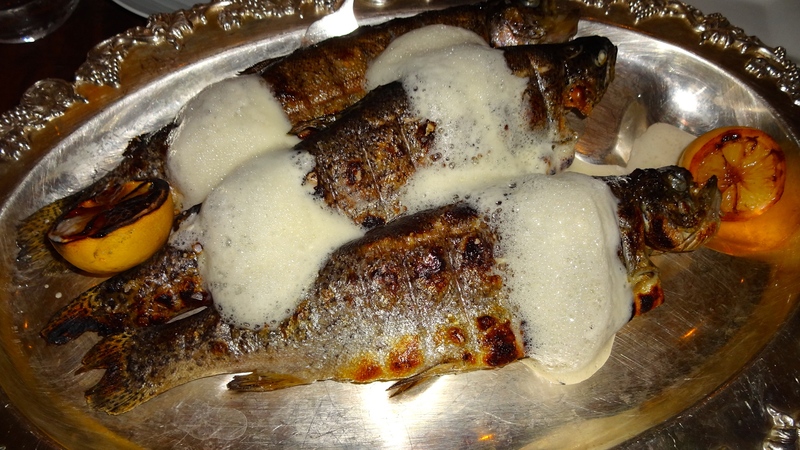 The main dish of whole grilled trout was simply prepared but nonetheless delicious and served with a light cider sabayon. No meal would be complete without of course dessert and I’m a sucker for apple tarte tatin. This classic French dessert might be one of my favorite desserts of all time. 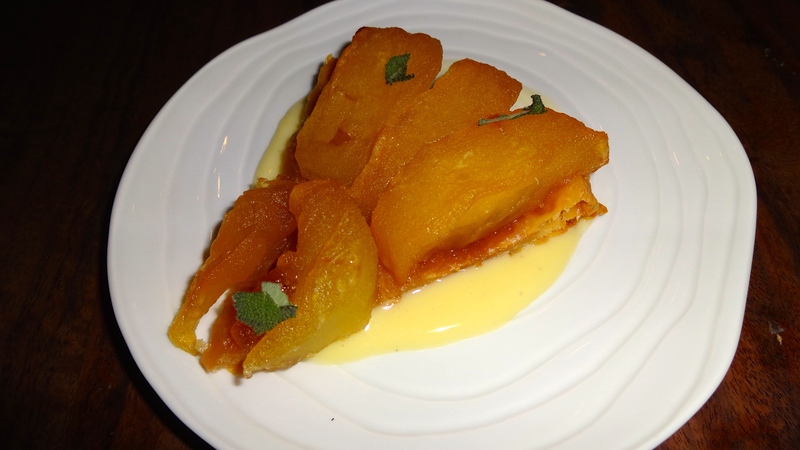 Beautiful pastry crust with caramel soft apples served with a luscious crème anglaise. Petit Crenn offers simple seafood dishes that showcase amazing products in the best way. My meal there was delightful so I’d rate Petit Crenn at a 8/10. Current Menu at Lazy Bear.